Lang Co Bay used to be not only a favorite resort of the elite, but today still attracts tourists to discover the beauty of immense nature and the pure beauty of marine culture. 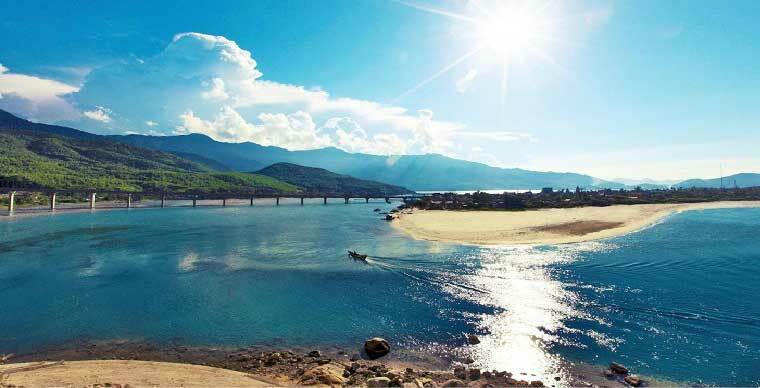 Lang Co Bay (Phu Loc District, Thua Thien Hue Province) is 30 km south of Da Nang City and 70 km north of Hue City, once recognized as one of the most beautiful bays in the world in 2009. 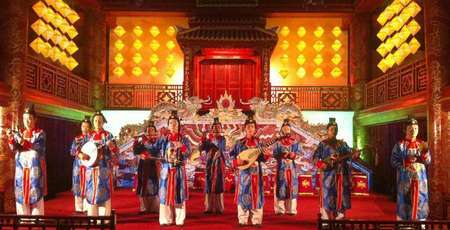 You can combine the tour of Lang Co with many other famous tourist spots because this bay is located among the 3 World Cultural Heritage Conservation Centers: Hue Citadel, Hoi An Ancient Town and My Son Sanctuary with the radius of 70 km. The weather in Lang Co is at its finest from April to August. After August to November, it’s usually rainy, the beach may be cloudy, from December to March next year the beach is quite cold. Airplane:Phu Bai Airport has just opened after upgrading. Every day there is a flight from Saigon and Hanoi to Hue with many airlines such as Vietnam Airlines, VietjetAir, Jetstar with the price from 1,000,000 VND (43$) / way. It’s 75 km from Phu Bai airport to Lang Co bay which takes nearly 1 hour on a taxi. If you have booked a room in advance, you can ask that hotel to arrange the vehicle. 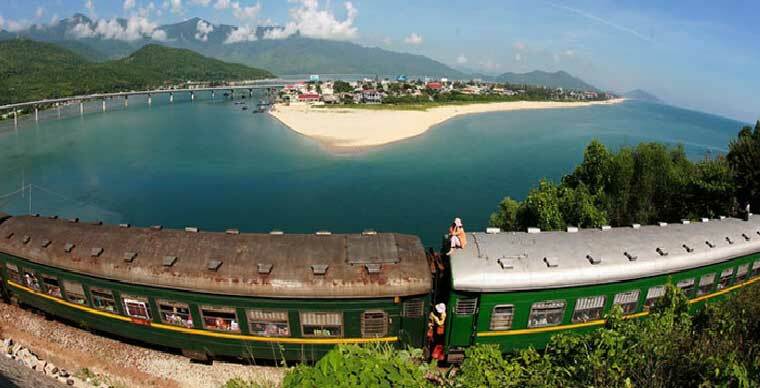 Train: For those who have time and want to enjoy the beauty on the way, get the train from Hanoi or Saigon to Hue or Danang, then catch a bus to Lang Co bay. The ticket from Hanoi to Hue is from 350.000 VND to 800.000 VND (15$-34$) depending on the type of seat. The ticket from Saigon to Hue is from 400.000 VND to 1.200.000 VND (17$-52$) depending on the type of seat. From Hue station at 02 Bui Thi Xuan, Hue city, you can take the bus to Da Nang and come down to Lang Co. You can also buy tickets to buy tickets from “Sinh cafe” or “Trekking” with the price of VND 60,000 / person (travel time is 2 hours). Tickets are purchased at their offices at Ben Nghe Street. Or if you want to go and explore the place by yourself, you can rent a car to Lang Co with the price of 600.000VND to 700.000VND. 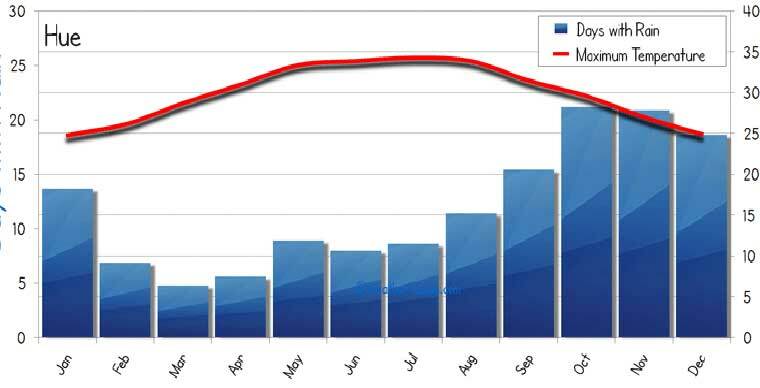 From Hanoi to Da Nang there are many Unified ships entering Danang, about 14 hours for 791km, costing VND 354,000. From Saigon, the train goes about 7 hours 30 minutes 935km, priced from 320,000 VND. Go to Danang station at 202 Hai Phong Tel: 0511. 3821 175 - 3823 810. You can catch a bus from Da Nang - Quang Tri or bus to Hue, stop at Lang Co, cost about 50,000 VND / ticket. 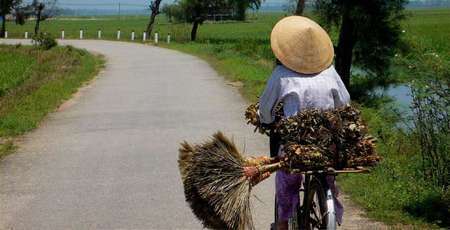 In Hanoi, you can catch a bus to Hue at Giap Bat, Dau Ngam, and Luong Yen bus station, with the ticket from 300,000 VND. In Saigon, you buy tickets at Mien Dong bus station, with the ticket from 450,000 VND. 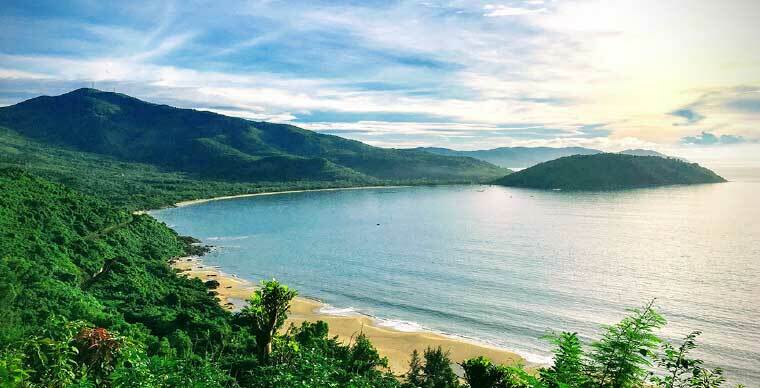 Located in Cu Du village, Loc Vinh commune, Phu Loc district, Angsana Lang Co Hue is one of the few high-class 5-star resorts in Lang Co beach, Angsana possesses a great terrain: a moutain behind and the sea up front. 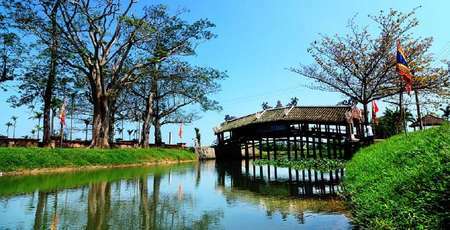 Banyan Tree Lang Co Hue is nestled at the foot of the majestic Truong Son mountain range, overlooking the beach stretching 3 km on a crescent shaped bay. 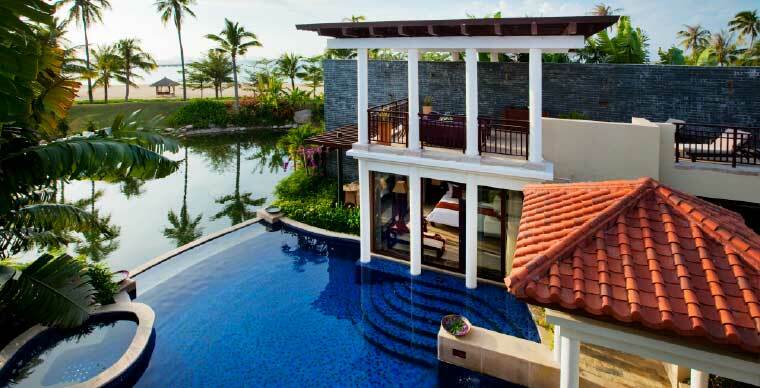 The resort is inspired by the artistic heritage of ancient Vietnamese kings dynasties. The resort consists of 32 one-bedroom canal-view villas and 17 one-bedroom beachfront villas spreading along the Canh Duong coastline. Lang Co Beach: This is the third bay of Vietnam, after Ha Long and Nha Trang named in the list of 30 most beautiful bays in the world. 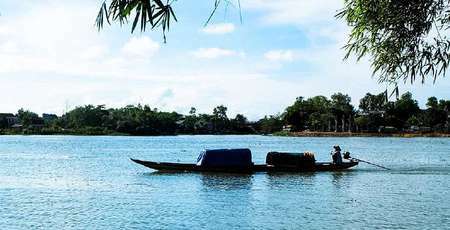 Lang Co is 60 km fromHue citycenter but only 40 km from Phu Bai international Airport. It’s just about 25 km if you come to Lang Co from Da Nang city via the tunnel of Hai Van Pass. Chan May beach: Chan May beach extends arc shape, white sand and gentle waves, only 3 km from National Highway 1A. The beach here is very beautiful but no rescuers on duty or danger warning system. 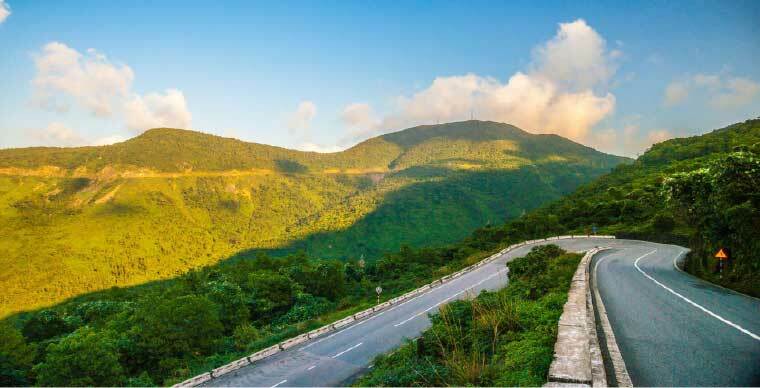 Hai Van Pass: Starting from Hai Van Quan, the territory of Thua Thien Hue province on Hai Van Pass. Extending to Bach Ma National Park, Hai Van Pass is only 60km long but can ensure you an ecstatic experience. Go down along Hai Van Pass, you can observe Lang Co Bay and the road leading to Hai Van Tunnel from above. 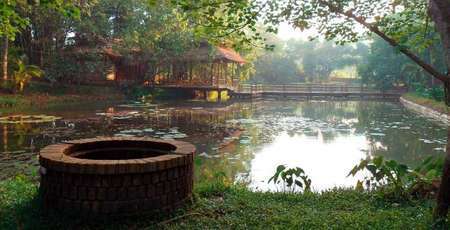 Bach Ma National Park: About 30 km from Lang Co to the west, Bach Ma is famous for its gentle weather. 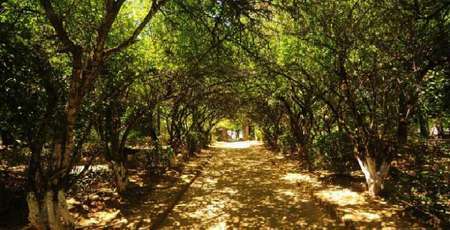 The temperature has never been below 4 degrees C and above 26 degrees Celsius. Here, you can walk to enjoy the atmosphere of the mountain of Bach Ma forest, visit Ngu Ho waterfall, Do Quyen waterfall, conquer Bach Ma peak. 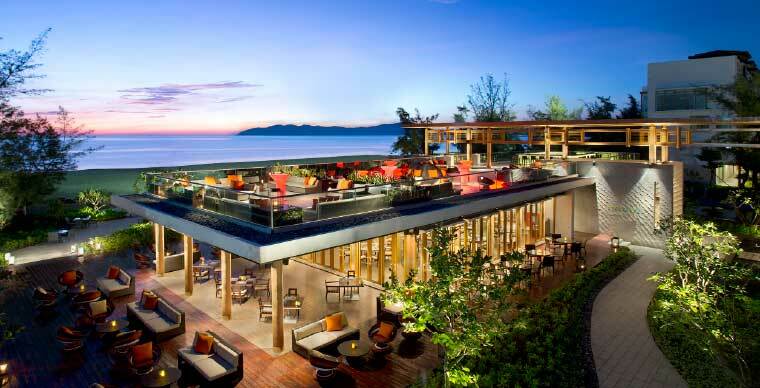 Visit Vong Hai Dai, from here admire the panoramic view of Chan May Beach and Cau Hai Lagoon.